Water Jet vs Laser Cutting: What are the differences? Water jet cutting is becoming increasingly popular as its benefits become more well known. Some may be unaware of these benefits or unsure of how it differs from laser cutting. Let’s take a look at both methods and weigh up the benefits of each. There are different types of laser cutting, but CO2 lasers are the most common. In this case, the laser beam is a column of high intensity light made up of CO2. Due to this wavelength being in the infra-red part of the light spectrum, it is invisible to the human eye. The beam is about 3-4 inches in diameter. Directing the laser beam is done through a lens or curved mirror, at the head of the laser cutter. By focusing the large beam down to a small pinpoint, the heat density is extreme. This results in heating, melting, and partial or complete vaporisation of the material being cut. Water jet cutting involves machinery that experts high-pressure water through a small nozzle, cutting through pieces of industrial material, such as metal, ceramic, and stone. To increase the cutting ability, abrasives are often added, such as garnets and aluminium oxide. Recently, water jet cutting equipment is robotically powered and can subsequently be operated at a safe distance, while still establishing precision and control. Furthermore, the overall finish leaves a smooth edge to the material being cut. Water jet cutters come into their own when dealing with areas are hard to reach; they are extremely capable and accurate in cutting these surfaces. Water jet cutting saves a lot of money and time, due to being extremely fast and efficient. 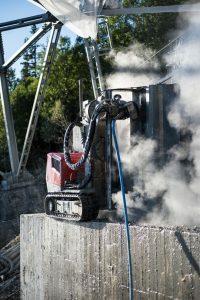 When cutting materials such as concrete, water jet cutting is an efficient method known as hydrodemolition. There are various technologies to choose from, such as the Aqua Cutter, which is quick, efficient, safe, and controlled wirelessly. There are various factors to consider when choosing between a water jet and a laser cutting method. Although both sets of machinery last a long time and do not make direct contact with the material being cut, there are a few important differences between the finished products when using them. In terms of the time it takes to make the cuts, laser cutting tends to be slightly quicker. But this is weighed against the fact that water jet cutting can cut through thicker materials with ease. Furthermore, laser cutters perform at their best accuracy and precision when on a smooth surface, whereas the finish doesn’t alter depending on the surface with a water jet. Water jet cutters are just as accurate when cutting through a textured surface. The absence of heat with a water jet is extremely noticeable in the finish of a lot of products. For example, with steels, alloys and other metals, heat changes the properties and can produce burnt edges when cut with a laser. There is no distortion of materials using water jets, as water does not affect their core properties, the finish is of a generally higher standard than the result of a laser cut, without any chips or burnt edges. When looking at water jet vs. laser, it is clear that water jet cutting has a lot more going for it than laser cutting. 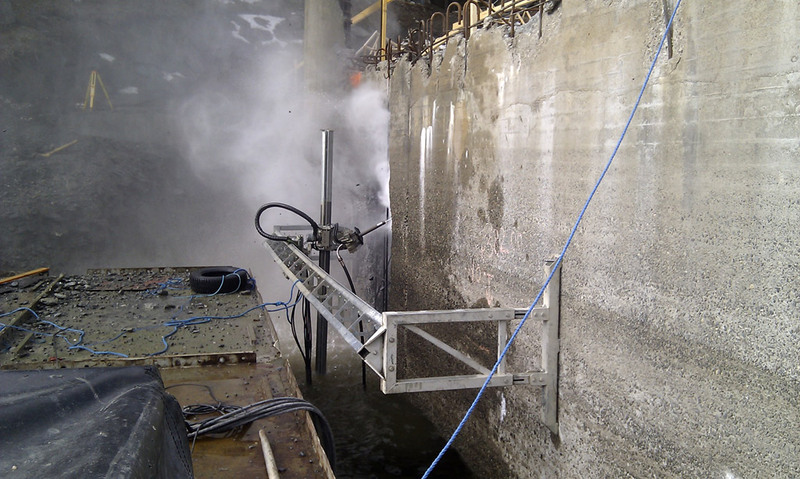 We offer a wide range of hydrodemolition services to meet a variety of requirements. If you need a service for your next demolition project, don’t hesitate to contact us.